In this 3 in 1 bind-up of VeggieTales I Can Reads, Junior learns that even pirates have to go to school, the town of Bumblyburg takes an angry mud bath, and Larry forgets to listen ... again! Common Core Standards: CCSS.ELA-Literacy.RL.K.1 With prompting and support, ask and answer questions about key details in a text. CCSS.ELA-Literacy.RL.K.2 With prompting and support, retell familiar stories, including key details. CCSS.ELA-Literacy.RL.K.3 With prompting and support, identify characters, settings, and major events in a story. 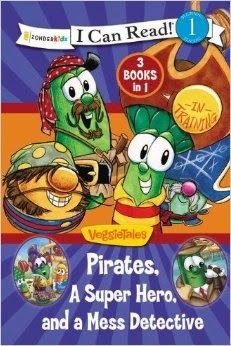 VEGGIE TALES: I CAN READ: 3 books in 1: Pirates, Mess Detectives, and a Superhero is hardcovered and really a beautiful book. The first book Pirates in Training is a cute story about Junior Asparagus who wants to join the pirates who don’t do anything. They talk him into staying in school and learning to be important things. The second story, Larryboy and the Mudslingers Junior and Laura go to the beach and a evil worm slings mud at them starting a war of angry vegetables. The third story, Listen Up, Larry, Larry has a problem listening to directions and so does Junior. He’s not listening in school. All three stories have lessons for the children to learn, and they are really easy for beginning readers to read. My twelve year old (a very accomplished reader) even enjoyed these stories. Highly recommended. 83 pages. $9.99. 5 stars. Whispers of Hope - Giveaway!!! Best-selling author Beth Moore addresses these practical and pervasive matters in Whispers of Hopeby walking readers through an easy to remember and apply method of prayer, coupled with seventy daily devotionals and followed by prompts to put this prayer method into practice. 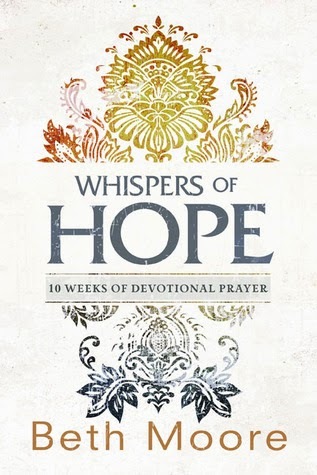 WHISPERS OF HOPE is a very nice devotional by popular speaker Beth Moore. I love the antiqued look of the pages, how they are a bit ragged. The paperback version (which I have) also has cover flaps to save your place. WHISPERS OF HOPE is available in ebook, hardback, and paperback, so you have your choice of format. It has a devotional with scripture to read, thoughts to ponder, then it has sections for you to fill out (or write in a notebook if you don’t like writing in books) for praise and thanksgiving, prayer requests, repentance, acknowledgement, intercession, equipping, etc. It is set up for ten weeks use. I really enjoyed using WHISPERS OF HOPE and highly recommend this devotional. 5 stars. $14.99. 232 pages. Okay, if you’ve watched The Princess Diaries then you’ve read PRINCESS EVER AFTER, with names and other information changed. This is the second book in The Royal Wedding Series. I didn’t read the first book, Once Upon a Prince, but I have it in my to-be-read pile. You do have to suspend belief in order to read PRINCESS EVER AFTER. Reggie is a CPA turned mechanic to restore old cars, and she’s just landed a coveted car to restore. Her sometimes on, sometimes off boyfriend is pushing her to go into politics (and give up mechanics) and then suddenly she finds out that she’s a real life princess. What’s a girl to do? Ms. Hauck is a hit and miss author for me. This book was a miss. It was very well-written, but it didn’t grab my interest and make me want to keep reading. If you love Ms. Hauck’s books, or The Princess Diaries, then you will love PRINCESS EVER AFTER. Give it a look and see if its for you. Leave a comment to be entered to win a copy of this book. Include contact information! That root of bitterness keeps them apart until a letter from Keith’s grandmother, Ruth, draws Naomi to Londonderry to find she’s too late. Ruth has passed on. After the death of his beloved grandmother, Keith has also come to Londonderry only to open the door to his past… Naomi…beautiful as ever, the girl who broke his heart. 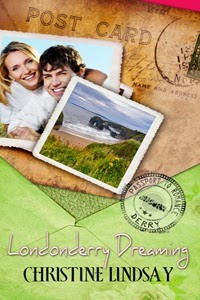 I enjoyed reading LONDONDERRY DREAMING and getting to know Naomi and Keith. Keith was a kind and loving hero, despite the way Naomi had wounded him, and he bent over backwards to accommodate her every need and to include her in activities with his cousins. I wondered what made Naomi’s grandfather hate Keith and his family so much and had to keep reading to find out the secrets of the past. I was glad that the answers weren’t buried along with Ruth. If you are looking for a quick, short romance to read set in modern day Ireland, then LONDONDERRY DREAMING is the book to consider. $3.99. 96 pages. 5 stars. WHEN COURAGE CALLS is rather slow starting with a lot of back story. I understood why Beth wanted to leave the fake, overly loud world she was used to, but I wondered why she wanted to go west when she seemed so frightened, needy, and even ill. I also wondered who the hero was going to end up being. I saw possibilities, but didn't know who she'd choose. Even the way it ended left some doubt in the readers mind as to whether they would get together or not. This isn't the best Janette Oke book I've ever read. I was rather disappointed in it as it wasn't the warm, friendly style I've associated with her Prairie romances. This one had more of the stilt and language of the Golden Gild age--which really Beth came out of. Still, it is well written and fans will no doubt want to read it. Especially those who watch the series on the Hallmark channel on TV. $14.99. 336 pages. 3.5 stars. 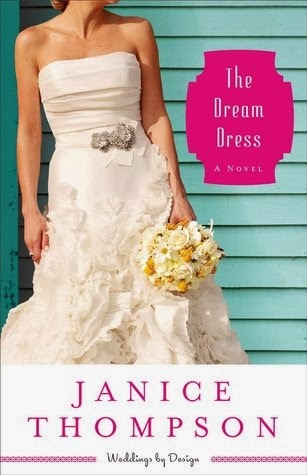 THE DREAM DRESS is the third book in Ms. Thompson’s Wedding by Design series, but it easily stands alone. Fans will want to read Picture Perfect and The Icing on the Cake to get Bella’s and Scarlett’s stories. I enjoy Ms. Thompson’s fun stories, and THE DREAM DRESS is the best of her’s I’ve read yet. Quirky and fun, it has some laugh out loud moments and others where you just want to weep when everything goes wrong for Gabi. A fun, light-hearted story that is sure to delight her old fans and win new ones. 5 stars. $13.99. 336 pages. The Year of Learning Dangerously is available in paperback, hard cover, and e-book form, so however you want to read, it’s in your format. This is a memoir of a former child actress and now homeschooling mom Quinn Cummings. When Ms. Cummings decided to venture into homeschool waters, she quickly learned the real truth of it, and this book is a collection of stories that will make you laugh, cry, and teach you—maybe—how not to do it. In The Year of Learning Dangerously she shares how she went to homeschool book fairs and conference incognito, trying to find the right type of curriculum for the school environment Ms. Cummings has in mind. That in itself is funny as she discovers all the different choices and attempts to make an informed decision. The Year of Learning Dangerously isn’t a how-to-guide for homeschoolers. If you are looking for a book that tells you how to do things, this book isn’t for you. It is simply a fun look at Ms. Cummings’ experiences, written in an engaging style that will instantly draw the reader in from the first page, and keep them engaged from the last. Ms. Cummings shares her thoughts about the socialization question that all homeschooling parents face—and how like most of us she slunk away with a polite smile, but internally planned comebacks and lectures to defend how much socialization the child actually gets (much more than nonhomeschoolers think). She also shares stories about the reality of starting school after pulling a child from public school when she discovers that her child really didn’t know how to add fractions and she had to start at a much earlier level in math that originally thought. 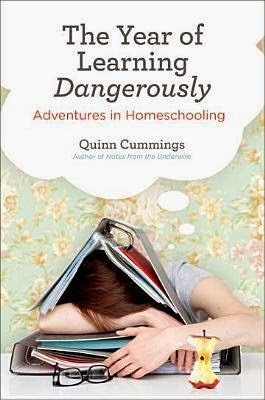 The Year of Learning Dangerously is a look at the lighter-side of homeschooling—and maybe an educational look at the reality of it for the nay-sayers in the homeschool parents life—such as grandparents and other relatives, and friends who just don’t understand. Recommended for every homeschool library. Book Spotlight: Londonderry Dreaming and giveaway! Leave a comment (and contact information) to be entered into a contest to win a free ebook! Price is 3.99 for the Ebook available on Amazon, Barnes and Noble. 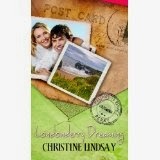 Londonderry Dreaming, is Christine’s first contemporary romance set in N. Ireland releasing Feb. 21, 2014. THOUGH MY HEART IS TORN is the second book in Ms. Bischof’s The Candence of Grace series. Readers definitely will want to read Be Still My Soul first as these books do not stand alone. Even though I read Be Still My Soul last month, I was still a bit lost when I started THOUGH MY HEART IS TORN and it took me a few pages to be brought back up to speed in the story. It might help to read these books back to back and not with a month break between them. Ms. Bischof is a very talented author. I loved her descriptive terms, making even the scenery come to life. She even took a man I didn’t like at the end of Be Still My Soul and made him someone I liked in the beginning of THOUGH MY HEART IS TORN. I hurt for these characters in this story, and can’t wait to read the third and final book in the series My Hope is Found (it is in my to-be-read pile) to see how the story concludes. The ending of THOUGH MY HEART IS TORN surprised me. I wasn’t expecting it at all. 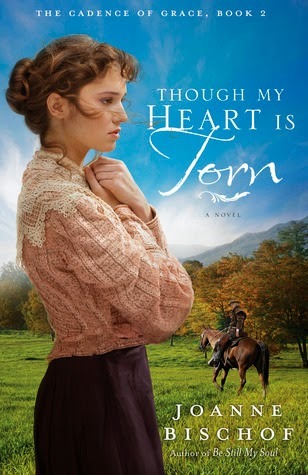 If you like historical fiction that packs a punch, then THOUGH MY HEART IS TORN is definitely a book to consider. $14.99. 352 pages. 3 stars. The A – Z of C. S. Lewis is a comprehensive introduction to C. S. Lewis’s life, family, friends, career, marriage, and writings, as well as the worlds he created, the creatures that he imagined, and the studies he delighted in. It’s also a volume that I wish that I had had close at hand when I was reading many of Lewis’s works. The entries (in encyclopedic form, alphabetically listed) provide rich background for practically every important aspect of Lewis’s life, thought and works. An asterisk clues the reader in to the fact that there is another important entry to be found elsewhere in this volume. The entries provide enough information to enable the reader to better appreciate Lewis’s writings, without boring the reader or inundating the reader with a glut of inconsequential details. And the hardbound volume, at a size of 8 X 5 ½ makes this an encyclopedia that is truly portable. Whether you are just discovering C. S. Lewis, or are a seasoned scholar of his life and works, this volume will enrich your appreciation for the genius that is C. S. Lewis. Colin Duriez was for many years a commissioning editor at Inter-Varsity Press UK. He has subsequently appeared as a commentator on DVDs of Peter Jackson's The Lord of the Rings, and BBC television's The Worlds of Fantasy. He is also the author of The Inklings Handbook (with the late David Porter), J.R.R. Tolkien and C.S. Lewis: The Story of Their Friendship, andTolkien and The Lord of the Rings, and has contributed to definitive reference works relating to Tolkien such as The Tolkien Encyclopedia (Routledge). I would like to invite you to participate in a Live Interactive Webcast with Stormie Omartian, bestselling author of The Power of a Praying® series. We would welcome you to join the conversation on February 18 at 9:00 pm ET. To sing up for the free LIVE interactive Webcast and received Stormie’s weekly e-devotional, latest updates, and exciting offers go to http://powerofpraying.com/. Enter Today | 2/3 - 2/20! The thick, leathery tome Heather pulled out of the dusty cardboard box was definitely coming home with her. Not only was The Gentlewoman’s Guide to Love and Courtship an appealing curiosity by virtue of its title; it was also written by Smitten, Vermont native Pearl Chambers, a local gentlewoman from three generations back. Little did Heather know the repercussions this little curiosity would have on her and her friends’ romantic exploits. When Heather and her fellow book club members begin passing the book around, their respective interpretations are unleashed on their respective love lives . . . for better or for worse. Is it a mystery? An idealist fantasy? An intimation of Jane Austen? As romantic love finds its way to each woman, theGuide proves itself both surprisingly prescient and hilariously irrelevant. What’s more, a handwritten inscription indicates that the arcane book might hold the only extant clues leading to buried gold—exactly what one of the members needs to keep her house. How could they not go treasure hunting? In this remarkable collaborative novel, best friends Colleen Coble, Kristin Billerbeck, Denise Hunter, and Diann Hunt tackle the tale of the Gentlewoman’s Guide by writing for one book club member apiece. 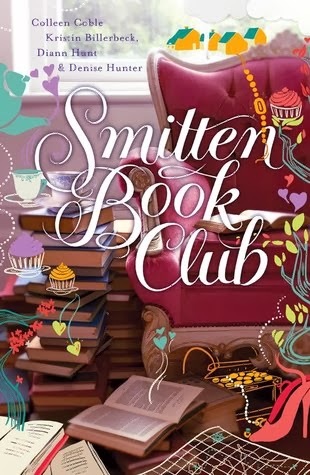 Smitten Book Club is a hopeful, hilarious story of friendship and healing, written by friends for friends. SMITTEN BOOK CLUB is the third and final novella collection in the Smitten, Vermont series. This is the last novel that these four best friends will write together since Diann Hunt passed away from cancer. The first story is written by Colleen Coble. Her character, Heather, found an old romantic advice book called A Gentlewoman's Guide to Love and Courtship and the lives of her and her three best friends begin to change. Heather’s old flame, Paul, came to town and plans to stay, and she begins to learn to trust and love despite his past bad decisions. This was a really cute story. I could relate to Heather and her fear of being hurt again by a man who already hurt her once. The second novella is by Kristen Billerbeck and stars shy, unadventurous Abby who dresses and lives as if she is an eighty year old librarian instead of a twenty-seven year old one. However, she discovers her father left her a mission before she died- to have an adventure. And in the steady hands of Wyatt, Abby soon finds that she might have more in common with another literary character than she thinks. This one... I enjoyed it, but it seemed more of a make-over type book. Become someone other than who you are to find love. I didn't like that message so much. The third novella in Smitten Book Club is by Diann Hunt. Lia, is a sweet kindergarten teacher who has a second chance at showing her best friend, Joey, how she really feels. However, he’s hesitant to move past a former loss. As Lia and Joey rekindle friendship, Joey sees the importance of forgiveness, moving on, and trusting God in the wake of sadness and anger. This story was cute, slow paced, but it had a good faith message in it about forgiving those who hurt you. It did seem to end rather abruptly to me--with the black moment and then it's over. The last story is by Denise Hunter and brings to a close the storyline that underlies all four novellas- the mystery of the gold and where it is hidden. Molly is still reeling from the death of her husband. Her outdoors business is more than she can handle and heading towards ruin. When business competitor Gage offers to help her out, Molly is instantly suspicious but eventually says yes. As they become closer, Molly realizes that she can trust again and follow her own dreams. And this was my favorite story in the collection. Dreamy sigh. I love Denise Hunter's writing. I enjoyed all four novellas. They were cute, well written, and sweet. If you liked the first two books in the Smitten series, then you will want to read THE SMITTEN BOOK CLUB. $15.99. 384 pages. 5 stars. Enter Today | 2/10 - 2/27! A ROAD UNKNOWN is the first book in Ms. Cameron’s newest series Amish Roads. I enjoyed getting to know Elizabeth and Saul. Elizabeth is experimenting with English life—but not in a run-around way, but because she is running away from home. The romance is rather flat—the sparks non-existent, but those in the Christian market who like quiet romances without sexual tension would love this book. I enjoyed the concept—an Amish girl leaving home for another area and living with the English, but still she is very involved in the Amish community. The misunderstanding between Saul and Elizabeth seemed rather contrived and forced, but other than that, I thoroughly enjoyed reading A ROAD UNKNOWN. Fans of Amish fiction who enjoy reading Wanda Brunstettler and Shelley Shepard Gray will enjoy A ROAD UNKNOWN. $14.99. 304 pages. 4.5 stars. 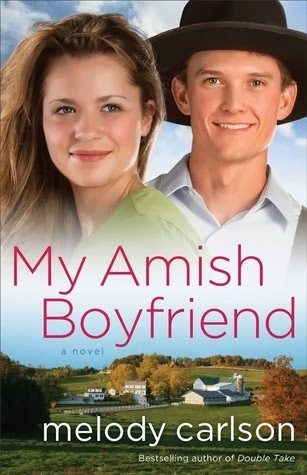 MY AMISH BOYFRIEND was a quick read sure to appeal to young adults. My tweener daughter read the book twice in a row while I worked on another book – and is anxious to read it a third time. Shannon is a sweet, caring girl, a typical teenager who is a caregiver to her very sick mom. Being English, Shannon shocks her Amish grandfather several times, before she agrees to dressing more modestly. And then she is more accepted by her aunt and cousin. Ezra was a somewhat nice…typical teen boy… and it ended the way I expected it would. I hope, in his case, the apple doesn’t roll far from the tree. If you have tweens or teens who love to read, then MY AMISH BOYFRIEND is one to consider. As an adult, I even liked it. 5 stars. $9.99. 272 pages. 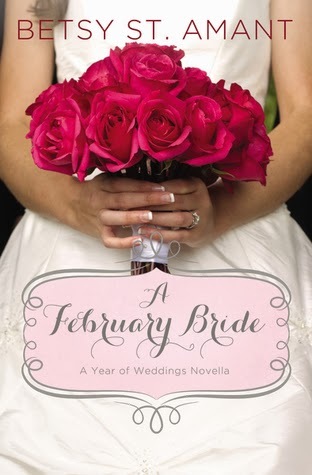 A FEBRUARY BRIDE is this months offering in the brides of the month series by Zondervan. I enjoyed getting to know Allie and Marcus and finding out the reasoning behind Allie playing the part of a runaway bride—and how she and Marcus moved beyond the jilting to healing. I absolutely loved Marcus’ mom. She was a total sweetheart, the dream mother-in-law for any woman who marries her son. The ending was a bit—unrealistic—in my opinion, but it was sweet and it worked for the story line. If you like romance novellas, you’ll want to read this one. $3.68. 4.5 stars. 80 pages. 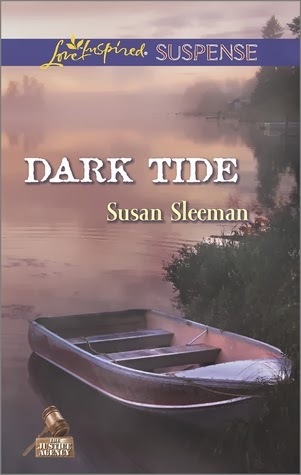 DARK TIDE is the fifth book in Ms. Sleeman’s The Justice Agency series. It does stand-alone, but readers (and fans) of Ms. Sleeman’s books will want to read the entire series. I enjoyed getting to know Derrick better. He is a sweetheart, kind and considerate, and quick to think on his feet. I didn’t like Gina at first, but as she shared more information about herself and her past I started to like her more. I decided that heroine’s in these books have to be a special breed because I would be dead the first time the bad guy tries to kill me. But they seem to survive multiple attacks. Really impressive. I enjoyed reading DARK TIDE and finding out more about Derrick and what information Gina’s deceased brother was hiding. I especially wondered how they’d solve it and prove the guy guilty—especially since she gave him everything he asked for in the first attack. A must-keep-reading book that kept me on the edge of my seat. $5.99. 224 pages. Meet The Justice Agency - Ethan, Cole, Kat, Dani, and Derrick Justice-five adopted siblings with a law enforcement background who work together in the Justice Agency to help people who traditional law enforcement has failed. SUSAN SLEEMAN is a bestselling author of inspirational and clean read romantic suspense books. Her first book, High-Stakes Inheritance was an ECPA bestseller. The Christmas Witness was nominated for the Daphne du Maurier Award and Thread of Suspicion for Romantic Times Reviewers Choice Award. Susan lives in Oregon with her realtor husband. They have two daughters, a son-in-law, and an adorable grandson.